The Lectin-free Diet – Fad or Fact? If there is one thing people looking to manage their weight don’t lack is diets. The Scarsdale Diet, Watermelon Diet, Atkins Diet, South Beach Diet, Low-Carb Diet, Paleo Diet and countless others have all had their proverbial “three minutes of fame” before being tossed into the dustbin of popular culture. Most, if not all, have also had well-known celebrity endorsers who took to the airwaves to swear how each literally changed their lives. The most recent diet to gain attention, and to be breathlessly promoted by a celebrity, Kelly Clarkson, is a lectin-free diet that purports to help you lose weight by limiting – or even eliminating – lectin from your diet. Ms. Clarkson credits this diet with significant weight loss and management of her thyroid condition. She also reports that she lost the weight – more than 35 pounds – by simply following this diet. As an added bonus, she claims that no exercise was required. So exactly what are lectins? According to the diet’s proponents, lectins are “toxic chemical compounds” that promote inflammation throughout the body. And, this inflammation is the source of any number of maladies including weight gain, leaky-gut syndrome, skin irritations, chronic fatigue and brain fog. As with most things, however, there are an equal number of experts who see the diet as ineffective at best and dangerous at worst. In reality, lectins are simply a type of protein found in many foods. They are found especially in plant-based foods such as grains and beans as well as in fruits and vegetables. To some extent we can thank lectin for having the abundant variety and supply of plants that we do since this protein helps protect them from insects and other animals. There are different types of lectins and each one does something different. Their main function is in helping cells stay together. They also bind to carbohydrates and can hinder your body’s ability to absorb certain vitamins. At very high levels, they may damage the lining of the intestine. On the positive side, lectins have been shown to be antimicrobial, help the immune system and may even fight certain cancers. It’s also important to keep in mind that most studies on lectin have been conducted under laboratory conditions that test specific lectins rather than specific foods. And, while it’s true that that some lectins may cause stomach upset if consumed in raw food, such as kidney beans, it’s a pretty high leap to say that all lectins should be avoided. That would be like saying that since you once got a sunburn you should avoid the sun even though your body needs sunlight to produce vitamin D, an important nutrient. The solution is quite simple – just cook kidney beans before eating them! It’s also important to remember that lectin is in many foods that are actually good for you and have proven health-benefits. Or, as one researcher commented, if you stop eating foods that have lectin, you’d have a pretty empty refrigerator and an even emptier dinner plate. Keep in mind that there is very strong evidence that healthier people tend to have diets that are more plant-based. The culprit isn’t lectin, but rather the overly-processed, high-sugar and simple carbohydrate-laden diet of the average American. If, however, you wonder if lectins are causing health issues for you, then talk with your healthcare provider. While probably less than 10 percent of people are lectin-sensitive, it’s good to know if you are so that you can adjust your diet accordingly. As for losing weight? To date, there is no compelling research that cutting lectin from your diet promotes weight loss any more than other diets would. How to explain Ms. Clarkson’s weight loss? The most likely explanation is that by following the lectin-free diet, she ended up consuming fewer calories than her body needed to function. This caloric deficit, over time, resulted in her losing weight. Barring genetic or other conditions, the same applies to you as well – consume fewer calories than you burn, and you lose weight. The question then is why so many people find it so hard to lose weight and then keep it off. One reason is that many of us make the commitment to “go on a diet.” This, in itself, is part of the problem since, by definition, something we “go on” is something that we can “go off” of. This approach implies that a diet is temporary, something that we do to reach a goal. And these goals vary. For example, we want to look better at the beach in a swimsuit but when summer ends, so does the motivation. And how about wanting to reach a weight goal our healthcare provider sets for us but when that goal is reached, we “reward” ourselves by eating a double cheeseburger with fries and ice cream for dessert? What we all should be aiming for is a long-term, sustainable lifestyle that we can easily adopt and ‘stick to’ until it becomes second nature. 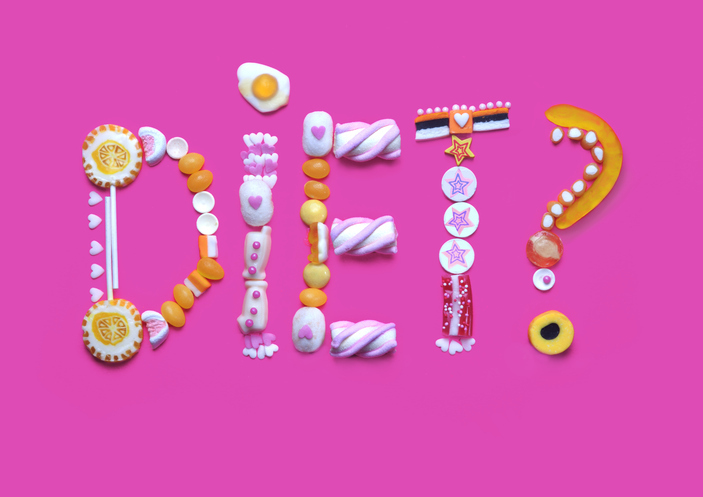 Remember the mantra of don´t diet, but watch your diet! The other part of the answer has to do with how we try to lose weight. Many of us try juice cleanses, heavily restricting carbs or fat, or fasting - none of which are sustainable. We may lose weight at first but gain it back even faster once we return to more sustainable eating habits. Instead of starving yourself or eating just one food or another in an attempt to lose weight, look at your overall eating pattern and aim to have a balance of healthy foods that you like and make them the foundation of your ongoing eating plan. Be sure to include plenty of fruits, nuts and vegetables since they are full of nutrients such as vitamins, minerals, water, protein and carbohydrates. As you work to revamp your eating habits, if you get frustrated or impatient, keep in mind that a recent study discussed the consequences of healthy eating. “It is the first study to show that improving diet quality over at least a dozen years is associated with lower total and cardiovascular mortality, and underscores the importance of maintaining healthy eating patterns over the long term,” Harvard reports. Last, but certainly not least, be sure to include some form of physical activity – again, one that you enjoy and can stick with – in your weight management efforts. Even taking a brisk walk three or four times a week can do wonders for both your waistline and your overall outlook on life. Want to learn more about nutrition and how to better manage your weight? Check out our other blogs to learn more.